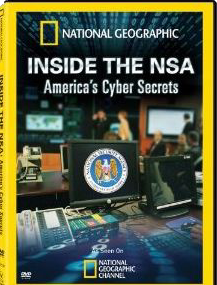 Propaganda film jointly produced by the NSA and the National Geographic. It takes you on tour of the top secret NSA building and interviews a number of mole-like employees who have only the most rudimentary moral understanding of what they are doing. They sound like children. The basic assumption is the USA has the right to snoop on any government, corporation or individual and to interfere with their defences. They also claim the right to kill any non-American without trial. They have absolutely no compassion or concern for people without American citizenship. They see Americans as the lords of the planet. The ironic part of the film is half a dozen top NSA people pointing out why it would be absolutely impossible for there to be blanket snooping on Americans, which Edward Snowden later revealed to be an outrageous lie.